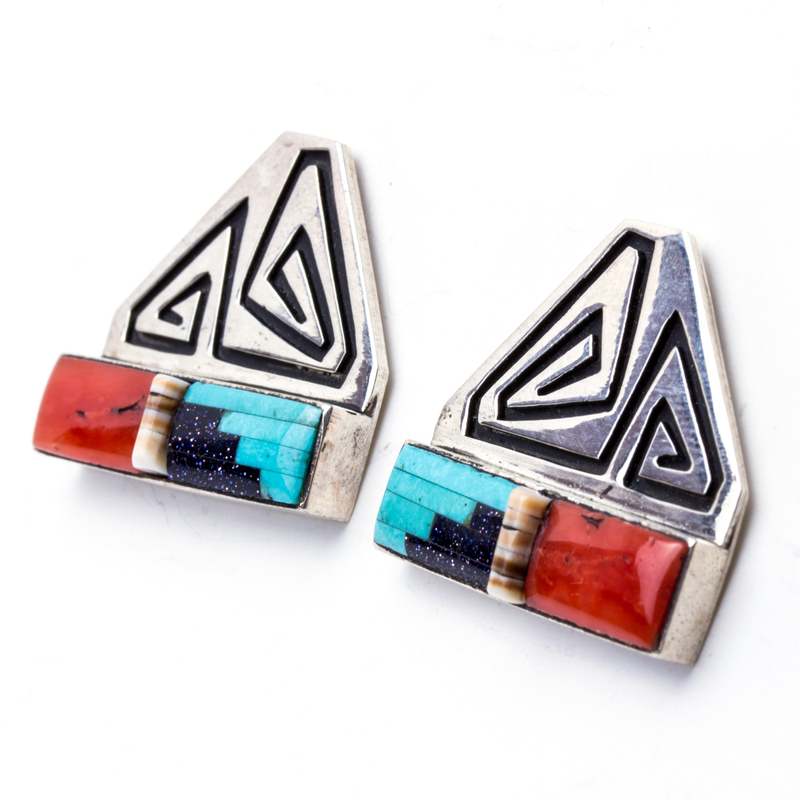 These earrings boast a lovely assortment of beautiful stones including vibrant blue Turquoise, deep black Onyx, light colored shell, and vivid red Coral, all surrounded by shining Sterling Silver by talented Navajo artist and Silversmith Abraham Begay. 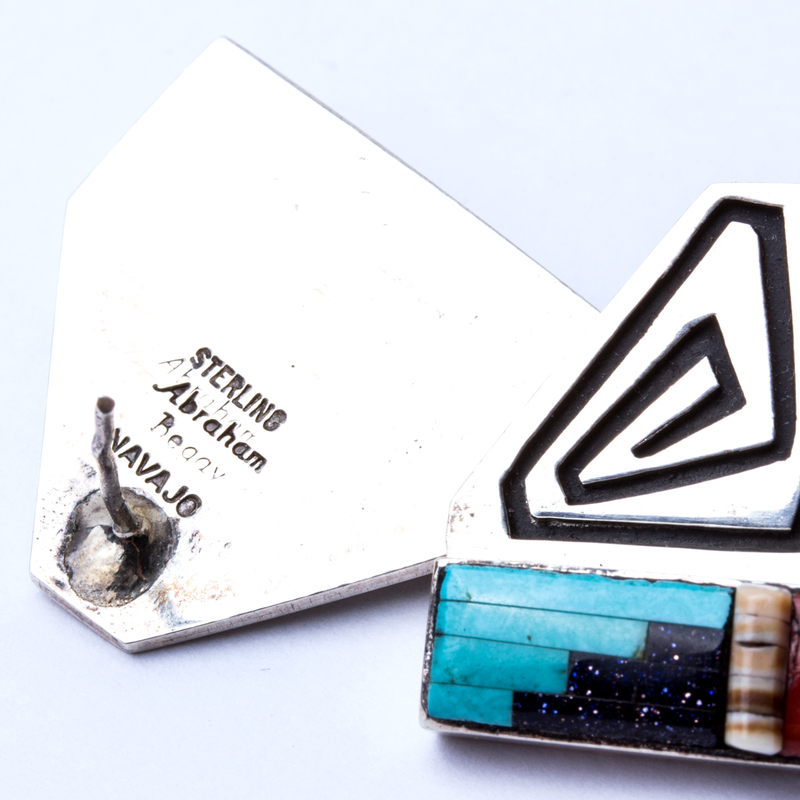 These earrings are hallmarked “Abraham Begay” and “Sterling”. 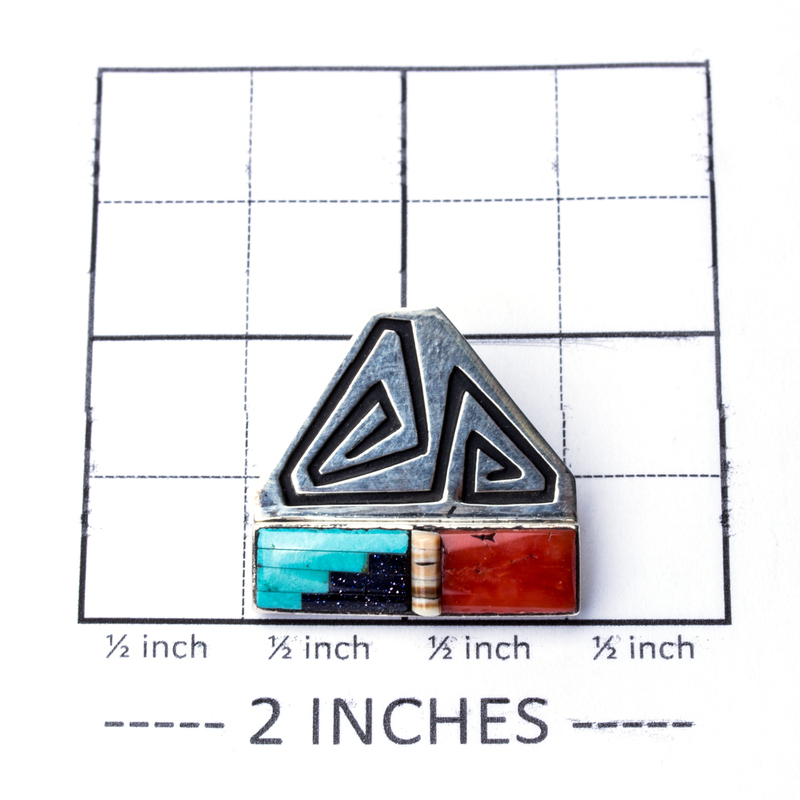 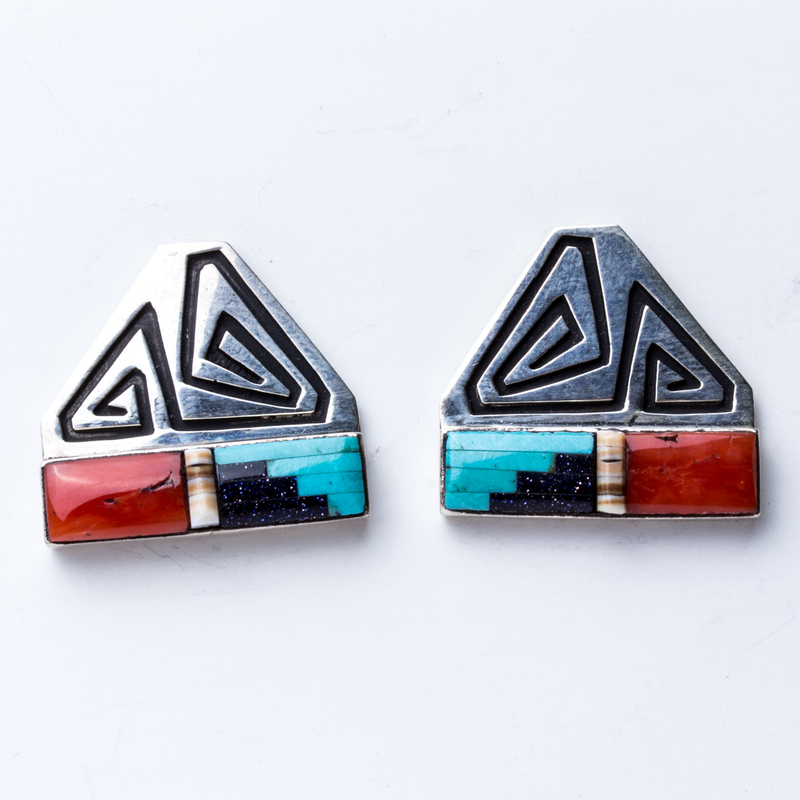 Navajo artist Abraham Begay Turquoise Earrings showcase intricate geometric design with vivid blue Turquoise, warm red Coral, and a touch of dark Onyx.